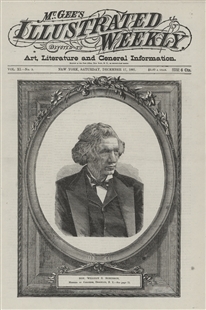 This Irish-American illustrated newspaper featured New York Representative William Robinson on its cover. 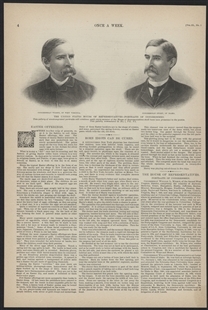 Robinson had served a single term 11 years earlier and was newly returned to Congress in 1881. 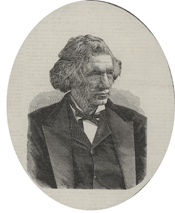 Robinson was one of only six Irish-born Representatives at the time, which likely accounts for his prominent appearance on the cover of McGee's.